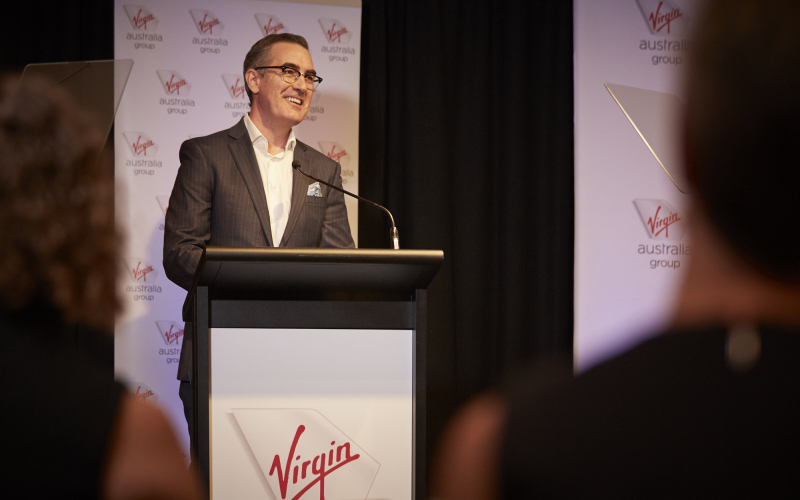 After a six-month international search, Virgin Australia has announced Paul Scurrah as successor to CEO John Borghetti who steps down on March 25. Scurrah, who has more than 20 years’ experience in transport, logistics, travel, and aviation, was an unexpected selection, with industry insiders earlier tipping internal Virgin candidates Rob Sharp and Merren McArthur as well as former Hawaiian Airlines head Mark Dunkerley. Scurrah has held CEO roles at DP World Australia, the country’s leading container terminal stevedore, and Queensland Rail, as well as executive general management roles at Flight Centre, Aurizon and Tourism Queensland. One of his most pressing challenges will be addressing the fall-out from Air New Zealand’s termination of its agreement with Virgin to share lucrative trans-Tasman services. As Skift reported last August, Virgin was the big loser when Air New Zealand terminated its codeshare with Virgin Australia after seven years of co-operation across the Tasman, aligning instead with rival Qantas Airways. Borghetti, a former Qantas executive, transformed Virgin from a low-cost carrier to a formidable full-service competitor to the flag carrier. However, his eight-year tenure at the airline was marked by a sea of red ink, with the airline failing to turn in a profit for the past six years. Last year, Virgin recorded a loss after tax of A$653 million ($473 million), up from the A$186 million ($135 million) loss in 2017. That was despite a significant rise in revenues, up 7.8 percent to A$5.4 billion ($3.9 billion). Those results don’t reflect the full impact of the Air New Zealand termination, and analysts are expecting more red ink when the trans-Tasman effects start to bite.